Long Crichel bakery have made a cake for breakfast. 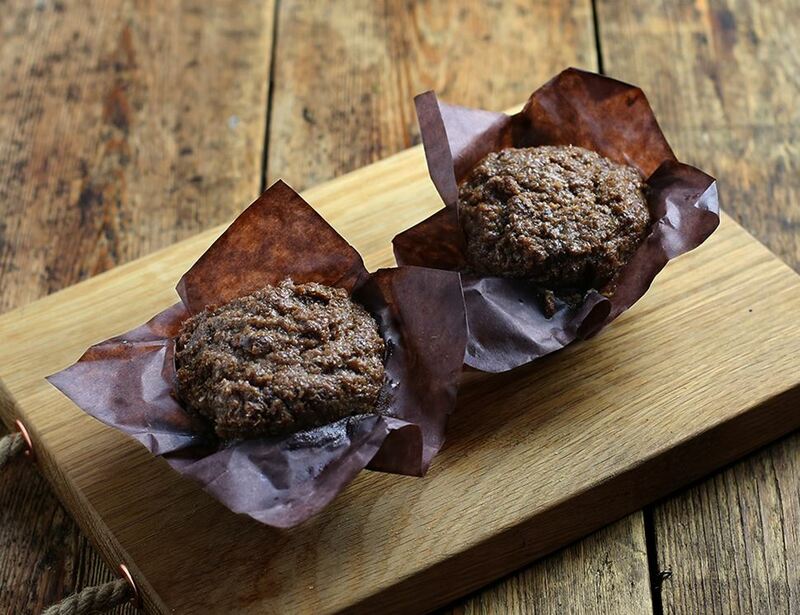 These bran muffins are properly made, using ingredients you’d find in your own kitchen, no weird preservatives or additives. And they’re packed full of (you guessed it) organic bran and raisins. Raisins* (22%), Bran* (14%), Sunflower oil*, Milk*, Brown sugar*, Cake flour*, Eggs*, Wholemeal wheat flour*, Baking powder*, Bicarbonate of soda, Salt * = produced to organic standards. For allergens, including cereals containing gluten, please see ingredients in bold. May contains traces of Nuts, Mustard & Sesame. Store in a cool, dry place, out of direct sunlight. Delicious eaten cold or warmed in the oven.